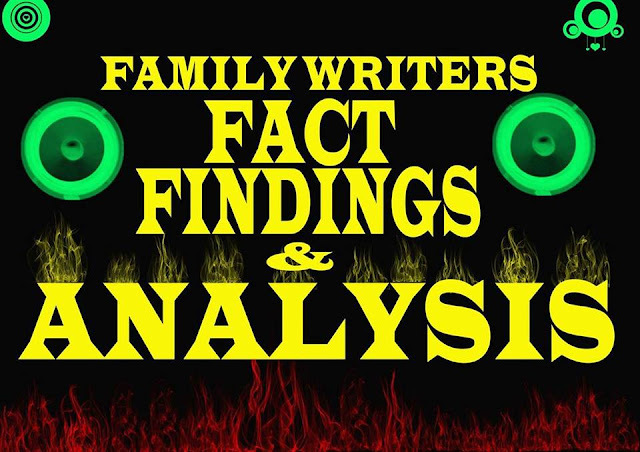 I welcome you all again to this glorious week's edition of Family Writers' Weekly Fact Findings and Analysis coming to you from Sam Felix Comrade Ekwenye of Family Writers. Please ride on with me as i am are set to go with you. This week, we shall be discussing on the topic- WHO IS A NIGERIAN AND THE POSSIBLE REASONS WHY ITS IMPROPER TO ADDRESS A PERSON AS A NIGERIAN. To start with, we all knew that the name NIGERIA had never been in existence, but was fabricated by the British government through Fredrick Lugard and his wife,Flora Shaw. As we all know, Flora Shaw got the name NIGERIA from the popular river known as 'River Niger', while d Fredrick Lugard brought together all the different protectorates surrounding the river to form the entity called Nigeria. Prior to the amalgamation in 1914, Biafra was already existing in the world map; however,the name Biafra was completely erased from the map by the British government immediately after the creation of Nigeria which had never existed. That is one of the greatest mistakes ever made by the British government. The fact that one can swim in the water does not make one become a fish, and the fact that one goes to the bushes to hunt animals does not also make one become a wild animal. Well, the truth remains that there is nothing and there will never be anything as a Nigerian. The so called concocted Nigeria is made up of three different categories of people, with different history of origin and socio-cultural backgrounds. 1. The Yorubas found in the Western part are descendants of Oduduwa, and they need Oduduwa Republic as an independent nation. 2. The Hausas from the north have their own different story of origin and they need Arewa as their own country. 3. The Biafrans also have their own story of origin, they are descendants of Israel through Gad who migrated from Egypt during the war, they are the Biafrans and they need Biafra as a sovereign independent nation. Now that Biafrans refused to be addressed as Nigerians because they are leaving the illegal union, there is no doubt that the Yorubas as well are willing to have their own country as well. If Biafra reclaims her original position in the world map , then followed by Arewa Republic and Oduduwa republic, do you think that Nigeria will still be in existence? Referring to someone as a Nigerian is improper, and must be seen and regarded as a racial act. For instance, you called Mr John a Nigerian, that means you are seeing him as a black man from the River Niger. Is mr John a fish or an aquatic animal? Anything about Nigeria has to do with marine powers, and if you refer to a person as a Nigerian, definitely you are either calling the person a fish or any other aquatic animal indirectly. CAN THE HAUSA FULANI PEOPLE HANDLE NIGERIA WHEN BIAFRA GOES? That's their own headache. This people are Islamic terrorists who has nothing to offer to see to the growth, development and welfare of Nigeria and the rest of the world. Many people will still die in their hands, especially the foreigners, because the Hausas will like to depend on them as parasite for everything to develop their country Nigeria, thereby suffocating them in the process. You may be wondering what I mean. Well, I mean that the Hausa Fulanis found in the northern part of Nigeria, are specialists in nothing else than terrorism. They are 99% experts when it comes to massacring of people who do not have the same religious belief with them. Therefore, the best thing the foreign business men and women should do now to save their lives, businesses and properties is to start relocating to safer places outside the boundaries of Nigeria, because they will see hell in Nigeria when Biafra leaves the unholy union. Let him who has ears hear! With this, we end today's edition of FWFFA. Until next week, have a lovely day. The British human Zoo called nigeria expired in Dec 2013 according to the forceful and fraudlent Amalgamation document of 1914. Shame on you Britain for continuing using your EXPIRED product to kill Biafrans everyday. ELOHIM MUST visit you with a MIGHTY HAND . Selah!! !